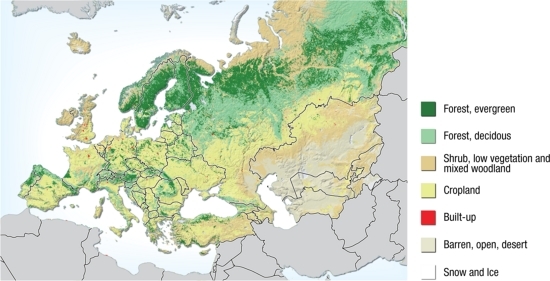 The Western part of the Eurasian continent, has some of the most populated and fertile parts of the World. Central Europe is densely populated, with few remaining fragments of undisturbed habitat, except for the mountain ranges. In the north - Scandinavia and Northern Russia, there is the taiga belt, with vast expanses of confierous forest, and further north, there is tundra and glaciers. Central Asia and Caucasus is a diverse region, with deserts, mountains, agriculture and grasslands.